Music Talks’ Re-branding - the Milestone that needs to be conquered by Music Talks and its StoreAn important part of any aspect of a business is evolving. In adhering to that spirit of progression, Music Talks is rebranding. Music Talks is a global site based in Sydney, Australia. It began as a place for independent artists in Australia to strum and drum their stuff. 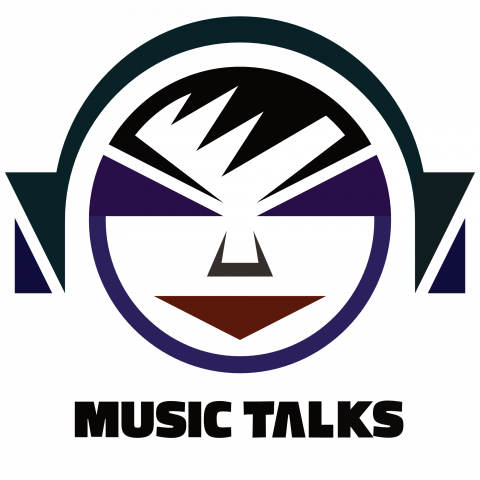 Music Talks has been operating as an information site primarily for artists, fans, musicians, labels and those in the independent music business since 2015. However, the response from the overseas community, artists and indie labels quickly expanded Music Talks on a global scale within the first year, in 2016. An important part of any aspect of a business is evolving. In adhering to that spirit of progression, Music Talks is rebranding. And, the founder of Music Talks and its store, Tracey Arbon is excited about it. Tracey Arbon believes the time is now right to re-brand and is completely aware of the mammoth task at hand. She wants to create a more reflective image of the brand/Music Talks. “I feel that Music Talks needed clearer and less ambiguous brand while portraying a stronger image of Music Talks, “says Tracey. Music Talks also has ‘The Store‘ as addition and side venture. The Store’s earning funds ‘Music Talks’ in helping independent music worldwide. Music Talks has the support from the surrounding community in indie music and the growth of it has been not only organic but also encouraging. Music Talks doesn’t only help promote artists, the veritable institution also provides unique content where the featured artists write their own story. To empower artists, Music Talks issues great advice via PDF eBooks with the most up-to-date information. By creating content for artists, Music Talks take out the confusion and the element of overwhelming of not knowing how to create quality content. Thus, Music Talks help artists promote themselves efficiently. Every section of Music Talks is tiered based depending on the level at which the artists are at in their career. Primarily, Music Talks aims to get the indie music out to the people who are not aware of the great music indie artists make. These are the fans and the people who usually only find the music they listen to from hearing it and not really looking for it or actively searching to find any kind of music. Tracey herself is a singer and an aspiring businesswoman. She has extensive plans for Music Talks which will see Music Talks evolve in 2019 and beyond. This is one of the reasons Tracey thought it was also necessary to re-brand at this time before it expands into other areas within music. As a part of the rebranding, Tracey believes in hitting the right chord with today’s youngsters. And, she follows the teens’ online activities and will be using what she learned in the process of rebranding Music Talks. “I strongly believe that we can learn a great deal from Gen Z and I often watch what my 18-year-old is up to. She is a keen voice actress and is a popular YouTuber, and while I may think that some things are just plain silly, it’s important to listen to, see what and why they come up with the ideas they have,” says Tracey. “I’ve noticed that the old brand of Music Talks didn’t fit with gen Z and upcoming generations, and I guess, what they would consider cool.” Tracey laughs, admitting her slip-up in creating music that appeals to the Gen Z.
Thence, there is a lot of work involved with re-branding of Music Talks so that it gets to the next level. From the main sites, social media to newsletters, content, video and many other details, everything would need a complete overhaul. Tracey is confident that Music Talks’ rebranding will be a continuum of progression that will scale heights consistently.